A surprise hit for Ford, the Fusion has seen an uptick in sales especially in areas usually dominated by Japanese mid-sized sedans. Now, the Blue Oval is taking things a step further with the most technologically-packed Fusion ever. It also packs game changing drivetrain configurations none of which are available on the Honda Accord or Toyota Camry. 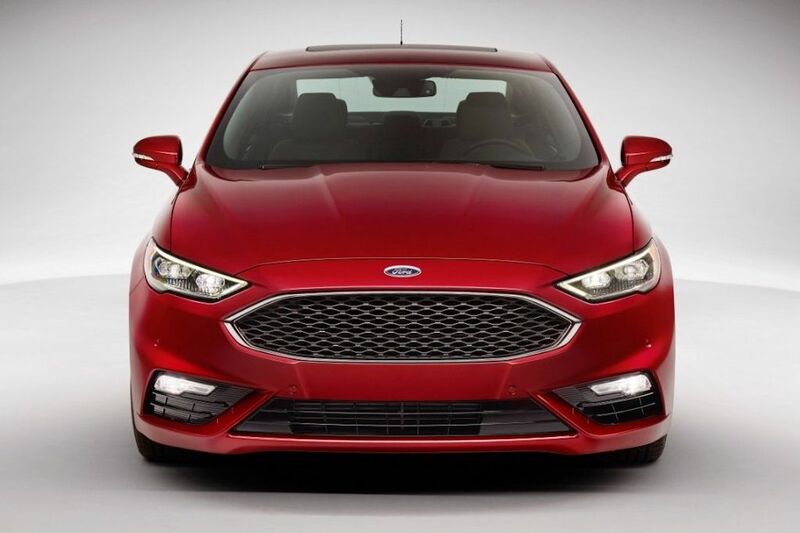 The newly styled Fusion features even more engine configurations including two hybrids as well as a new all-wheel drive equipped Sport model packing a twin-turbo V6 engine. The two hybrids: Fusion Hybrid and Fusion Energi plug-in hybrid offer a new EcoGuide system that provides real-time coaching to get even better fuel mileage. Both models offer electric-only speeds up to 85 MPH (136 km/h) and can recapture 95 percent of braking power through regenerative braking. The Fusion Energi meanwhile can go 500 miles (804 kilometers) before depleting its battery and then can switch to a conventional 2.0-liter motor removing any range anxiety. It can also be charged in just 2.5 hours. 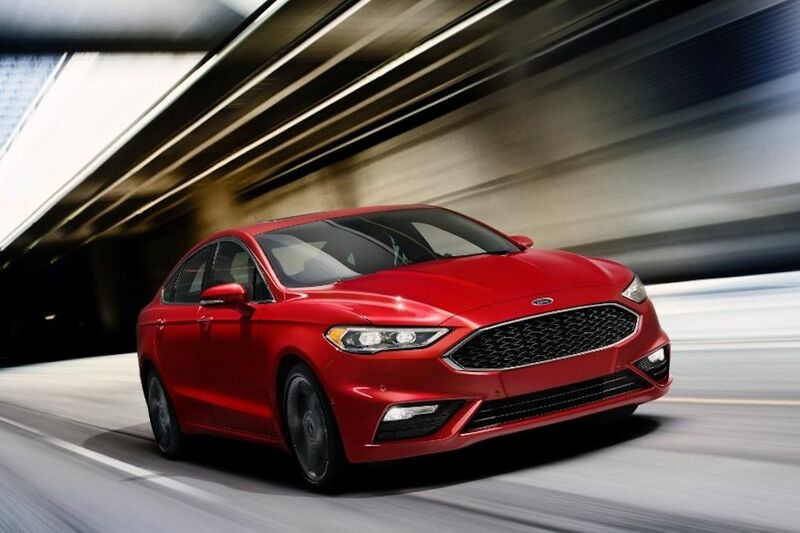 The biggest news though is the availability of the Fusion V6 Sport, the performance version of the Fusion packs a twin-turbo 2.7-liter V6 engine with 325 horsepower and 474 Nm of torque—more powerful than any offering from Toyota or Honda. And making sure it can keep all this power on the road, it has standard all-wheel drive. The V6 Sport also has continuously controlling damping for its suspension that adjusts the shock absorbers in a split second reducing the severity of impact transmitted to occupants. For those who want all-wheel drive but don’t need the twin-turbo V6, Ford is also offering the Fusion Platinum with the 2.0-liter EcoBoost 4-cylinder with 240 horsepower on tap. 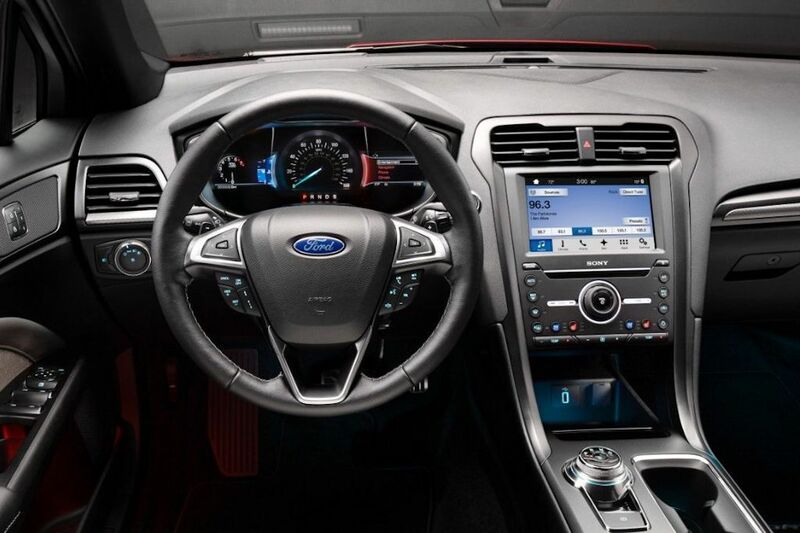 The Fusion Platinum is also wrapped in unique Cocoa leather and a steering wheel wrapped in Venetian leather. 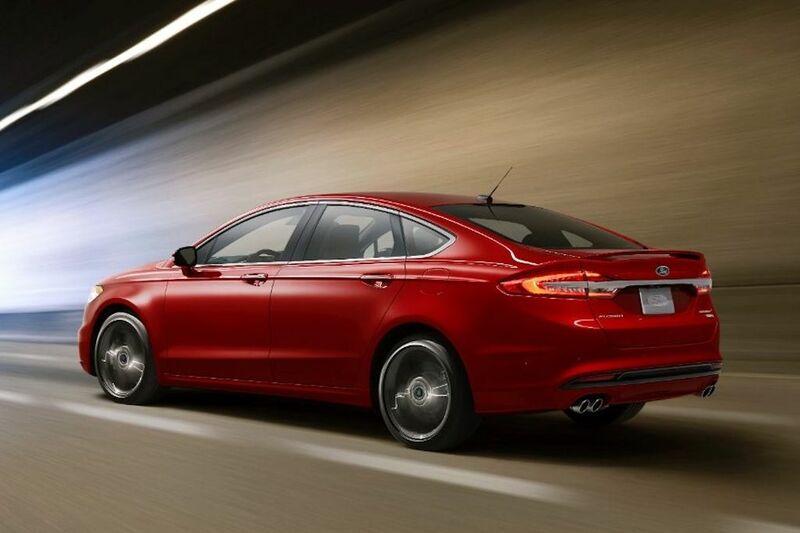 The 2017 Fusion is also positioning itself to be the smartest mid-sized car in America. 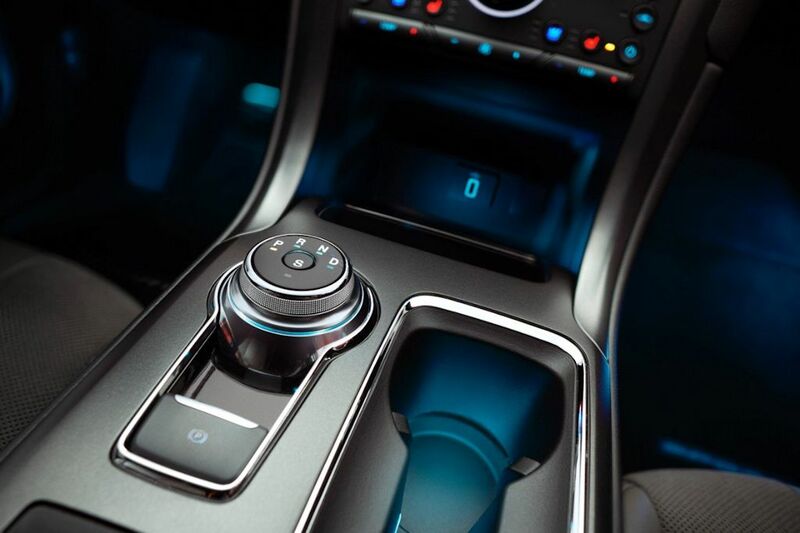 It offers both hands-free parallel and perpendicular park assist as well as a new shift dial that replaces the conventional shift lever. It also has Lane-keeping assist, Blind Spot Monitoring System, as well as the SYNC 3 infotainment system. And towards the end, Ford Performance also revealed that the 2017 Fusion will be ready to race at the NASCAR racing series beginning at the Daytona 500. They revealed the new racer towards the end of the Ford program.